The Lord Baltimore Hotel, one of the crowning architectural jewels of Baltimore, Md. when it was built in 1928, has new inclusive guest packages to enrich guest experiences during their visits to Charm City. The historic hotel has partnered with the most popular cultural venues in the area, including the National Aquarium, the Walters Art Museum and the Baltimore Museum of Art, to provide affordable outings to engage visitors in the rich culture that is present throughout the city. Seasonal offers and inclusive packages are the latest expansion to the recently restored and renovated hotel. The grand French Renaissance landmark, included on the National Register of Historic Places and regarded as a member of Historic Hotels of America, underwent a complete aesthetic transformation to bring the hotel back to life and officially re-opened in March of this year. Lord Baltimore Hotel guests are guaranteed a holistic cultural experience with the “See It All” package containing two Water Taxi passes that will cruise them across the iconic Baltimore Harbor. The experience continues with Harbor Passes, which include admission to plunge under the sea at the National Aquarium, discover the scientific phenomena that empower our planet at the Maryland Science Center and receive a panoramic view of the city from the 405-foot Top of the World Observation Level. Baseball fans will have the option to check out one of Baltimore’s favorite pastimes at Sports Legends at Camden Yards, while guests with children can find amusement at the hands-on Port Discovery Children’s Museum. Visitors with a curiosity to uncover the city’s rich past can select the “History, Past & Present” package that celebrates the War of 1812*. This package includes two tickets on the Water Taxi for an excursion to Ft. McHenry, where Maryland-native Francis Scott Key authored the Star-Spangled Banner – celebrating its 200th anniversary this year. The historical experience continues with two tickets to the Babe Ruth Museum featuring their “O” Say Can You See: The Star Spangled Banner in Sports exhibit, and two 1812 Bicentennial Passport/Discount books. Baltimore celebrates the 200th anniversary of the Star Spangled Banner with Star Spangled Summer from June 13-September 1, 2014 and Star Spangled Celebration from September 10-16, 2014. For more information on the many events and activities taking place as part of the celebration, visit http://www.starspangled200.com. Hotel guests seeking to swim through every facet of the National Aquarium can purchase the “Lord & Lady Puffin Aquarium” package, which comes with a two 2-day passes to the Aquarium. In addition to trekking through the rainforest exhibit or exploring the Aquarium’s newest exhibit, Blacktip Reef, visitors receive tickets to enjoy a 4-D Immersion Film experience and a plush Lord and Lady Puffin. Vacationers looking to get in of shape during their stay in Baltimore can participate in the “Fit To Be Royal” package, which comes with access to all of Elite Fitness’ group outings, passes to Brick Bodies, and discount coupons to City Sports and Under Armour in Harbor East. And a work out wouldn’t be complete without a bottle of water and a Power Bar. 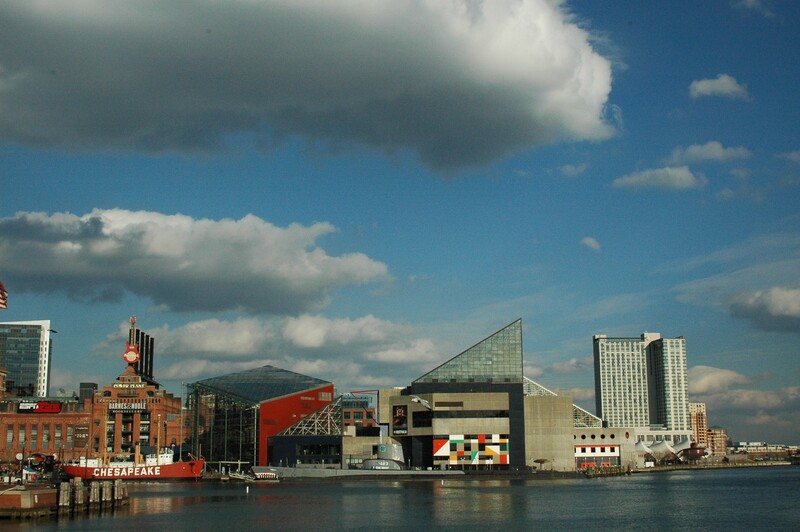 “Our packages offer those traveling to Baltimore the opportunity to really get out and explore our wonderful city – full of history and culture,” said Gene-Michael Addid, general manager for the Lord Baltimore Hotel. Guests staying in one of the hotel’s 440 rooms and suites can also enjoy dining, lounging and one of the city’s only rooftop event spaces offering panoramic views of Downtown Baltimore. The hotel features exceptional dining options including its signature restaurant, French Kitchen, and the contemporary take on a small-town American coffee house, LB Bakery, as well as LB Tavern, serving handcrafted cocktails and light fare.Art exhibitions are planned throughout the hotel’s public spaces and will highlight local, national and global artwork. Rubell Hotels, a family-owned business well known for transforming architecturally significant historic hotels into affordable cultural hubs, acquired the property in March 2013 and immediately began applying the vision of owners Mera, Don, Jason and Jennifer Rubell – combining their love of art and architecture with a bright, modern feel. Interior designer Scott Sanders, formerly the lead interior designer at Ralph Lauren, who specializes in distinctive residential and commercial interiors for notable clients and properties, spearheaded the design, which typifies his “New American Style.” Inspired equally by classic men’s haberdashery and the six historical Lords Baltimore, Sanders has used traditional menswear fabrics in unconventional ways, resulting in an interior that seamlessly combines a fresh, clean modern look with all the warmth and grandeur of a historical property. The Lord Baltimore Hotel is located in the heart of downtown Baltimore and within walking distance to many local attractions. Towering over the Baltimore skyline at 23 stories, the hotel offers 440 new guest rooms and suites, more than 20,000 sq. ft. of meeting and event space and dining options including the French Kitchen, LB Tavern and LB Bakery. Art plays a major role in the hotel design with more than 2,500 pieces of artwork displayed throughout the building. Originally built in 1928, the hotel was purchased in 2013 and completely renovated by Rubell Hotels. The Lord Baltimore Hotel is a member of Historic Hotels of America, the official program of the National Trust for Historic Preservation (www.historichotels.org), and is listed on the National Register of Historic Places. Lord Baltimore Hotel, 20 W. Baltimore Street, Baltimore, MD, 21201, http://www.lordbaltimorehotel.com.